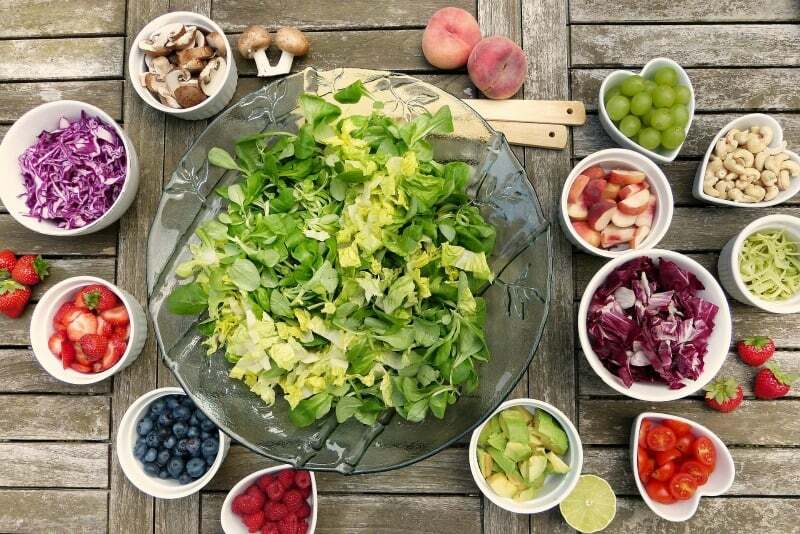 The absolute best way to boost your immune system quickly is to incorporate a balanced amount of fruits, vegetables, whole grains, healthy fats and protein, plus at least 8-10 glasses of water a day. There are also a handful of specific foods that can help. 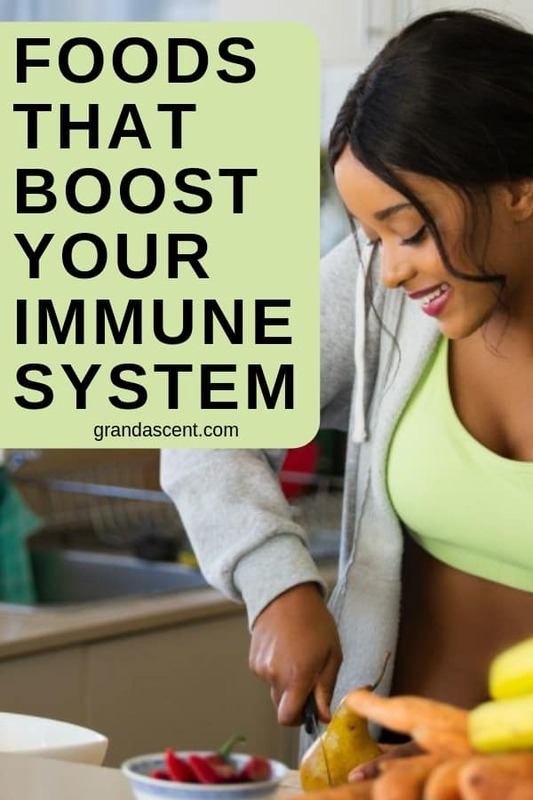 Let’s look at some that have been scientifically shown to add extra punch to your immune system. Vitamin C tops the list of immune boosters for many reasons. 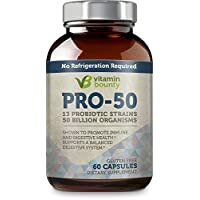 It acts as an antioxidant, increases the production of infection-fighting white blood cells, and increases levels of interferon, the antibody that coats cell surfaces and prevents entry by viruses. Vitamin C is found in high concentrations in immune cells, and is consumed quickly during infections. 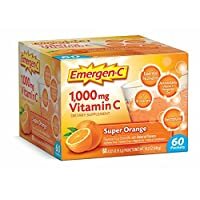 Studies have shown that adequate intakes of vitamin C and zinc alleviate symptoms and shorten the duration of respiratory tract infections, including the common cold. 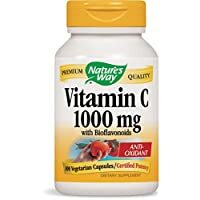 Since Vitamin C is water-soluble, your body cannot store it. This means you need to consume it daily. The recommended intake for women above the age of 18 is 75 mg per day. Aim for 85 mg if you are pregnant and 120 mg if you are lactating. Here are more fruits to include in your diet. If you you just can’t get enough Vitamin C in your diet, you can supplement with a chewable or some fizzy drink. Grandma was right! Chicken soup really does make you feel better when you have a cold. Not only does it provide the fluids you need to help fight off a virus, its ingredients can help ease your symptoms. Dr. Stephen Rennard of the University of Nebraska Medical Center, Omaha, used blood samples from volunteers to show that chicken soup inhibits the migration of infection-fighting cells called neutrophils. This inhibition effectively helps reduce upper respiratory symptoms. While the researchers couldn’t identify any specific ingredient, they found that many commercial soups had a similar inhibitory effect and suggested that it was the combination of ingredients working together that provided the effect. The tested soup contained chicken, onions, sweet potatoes, parsnips, turnips, carrots, celery stems, parsley, salt and pepper. Use these ingredients when you make yours. In addition to being full of protein and calcium, yogurt has been shown to provide additional immune benefits due to its probiotic content. 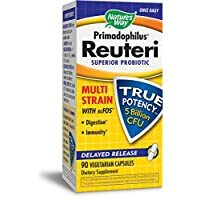 Probiotics are beneficial bacteria that improve health in three ways: they fight off harmful bacteria, they improve intestinal function, and they play a role in maintaining a strong immune system. An experiment done by researchers at the Swedish company BioGaia showed that the probiotic Lactobacillus reuteri reduced short-term sick-leave of employees, that was caused by respiratory or gastrointestinal infections, by 50%. Although probiotics are available as supplements, choose food sources like yogurt first, since they are more easily absorbed by your body. Seven ounces of low-fat yogurt per day is just as effective in boosting immunity as taking supplements. 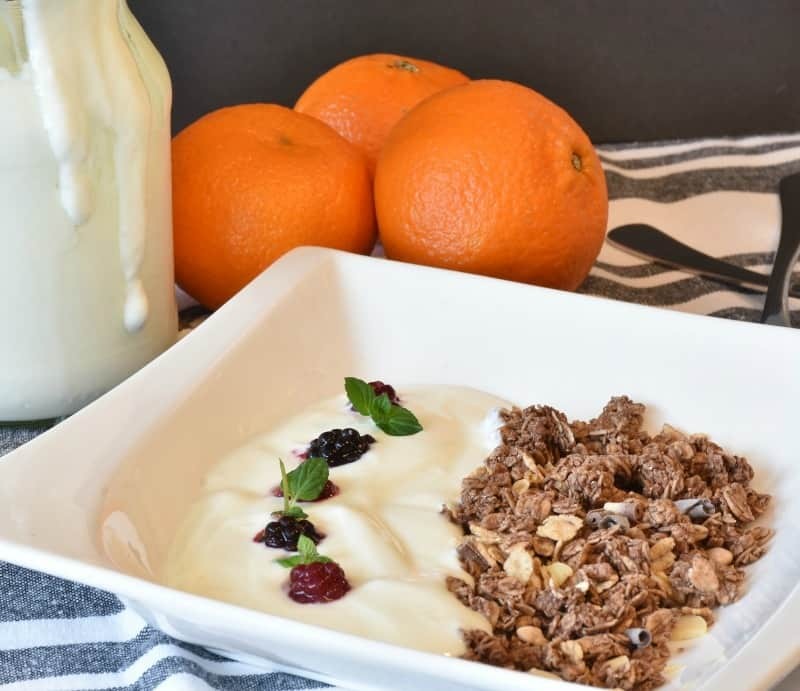 To add yogurt to your regular meals or snacks, dip fresh fruit in plain yogurt or sprinkle some granola on top. Look for yogurt that contains Lactobacillus reuteri. Not all brands have that particular bacteria, so check the labels. Fish is considered to be an important part of a healthy diet because it is a great source of lean protein, it is rich in iron, and it is known to help cardiovascular health and brain function. But fish has also been shown to benefit your immune system. 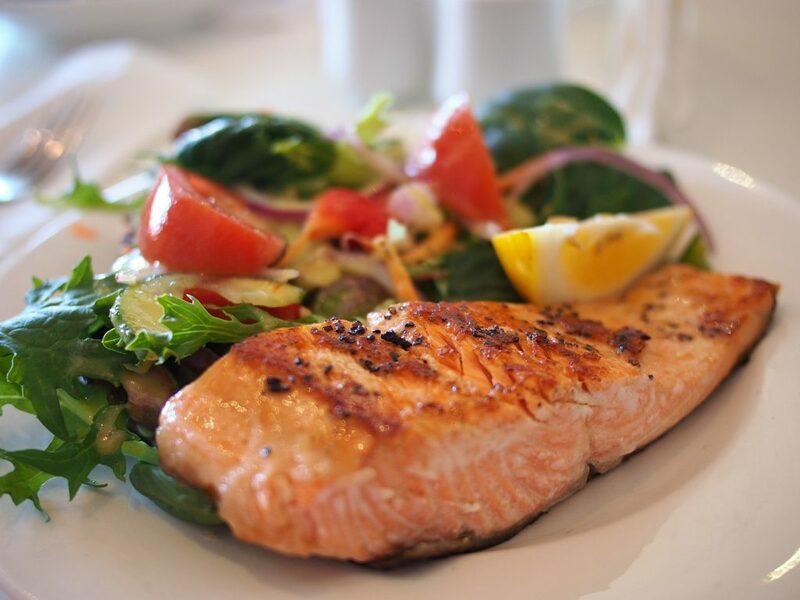 Fatty fish (think salmon, tuna, and mackerel) have high levels of omega-3 fatty acids known as DHA and EPA. These fatty acids are known to reduce inflammation, increase airflow and protect your lungs from colds and respiratory infections. 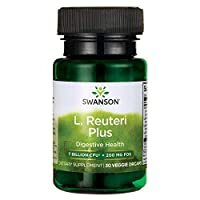 Additionally, DHA and EPA act as immune boosters by increasing the activity of phagocytes (cells that protect the body by ingesting harmful bacteria). Michigan State University scientists found that DHA-rich fish oils have the power to prevent disease by boosting the activity of white blood cells that fight disease. Eat at least two servings of omega-3-rich fish per week. A serving size is 3 ounces. Note that if you are pregnant or plan to become pregnant, you should avoid types of fish that are high in mercury, such as shark and swordfish, and limit the amount of other types of fish you eat. Sometimes you can’t help getting sick, but if you make an effort to consume foods that support your immune system, you just might be able to avoid your doctor’s office this cold and flu season, and stay healthy year round. Remember to make these and other foods that boost your immune system quickly part of your daily nutrition intake. I eat all of these foods with the exception of chicken noodle soup and I very seldom get sick. I’m sure my diet isn’t the only reason I manage to stay healthy, but it certainly doesn’t hurt. These foods also offer other benefits in addition to boosting the immune system. I love all of these but I despise fish. I am not sure why, maybe when I have had it before it was coked bad? Doe someone know if a simple recipe for fish that I could try out? I would love to eat it but I just can not get past the taste of it. That’s a pretty good list. I personally swear by avocado and have done for years. It is full of the right kind of fat and is supposed to help lower cholesterol. Oh my, chicken soup! It’s my overall biggest superfood. It’s all that I can face when I’m ill, and I recommend it to everyone but is has to be home-made. I bet the next time you get sick you will think back to skipping the soup! 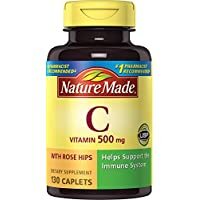 For me Vitamin C is where it is at but I do not like oranges and sometimes opt for a supplement if I can not get what I like in stock. Those darn seasons for fruits drives me nutty since I always crave what is no in-season. 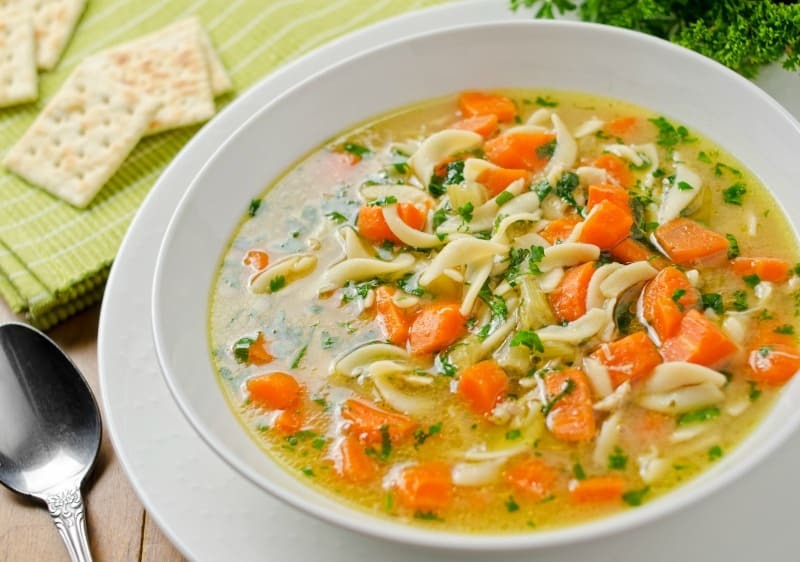 Chicken noodle soup is one of those comfort foods that a lot of people, including my family, love in the winter time, cold or not cold. I like all of the foods listed above and eat them most of the time. I’m glad to know they are good for me as well. I love avocado, it’s really good in salad. 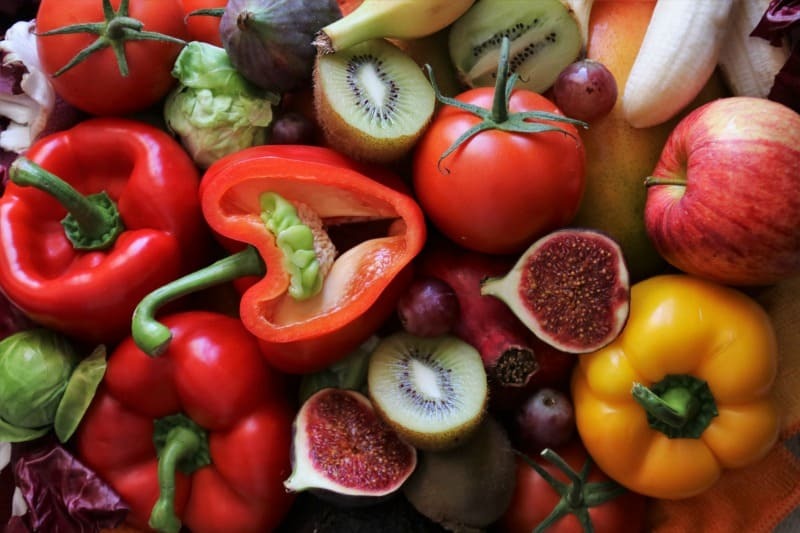 Any type of raw fruit and vegetables is good for you. I think raw is the best way to eat a lot of these things without cooking them and losing some of their nutrients. I do a simple breaded fish. I first dip the fish into an egg mixture consisting of two eggs, a splash of milk and a little lemon juice. Next, I dip the fish into Italian breadcrumbs, which you can find at your local store. I place the fish into a pan that has been heated with two tablespoons of olive oil. I cook for a minimum of twenty minutes turning over half way through the cook time. I don’t know if this is what you are looking for, but I do believe that the Italian breadcrumbs do take away some of that taste from the fish. I drink a lot of water as it is, but I can’t see how anyone can drink 8 to 10 glasses a day. My immune system is pretty good, but I will be taking some of these tips to heart. Yes, drinking that much water is a challenge. I think you can also include glass of juice or tea in the 8 to 10 a day. It doesn’t necessarily have to be water.